Conveniently found on Ogden Ave in Downers Grove, right between McDonalds & Steak n Shake! Ogden Avenue seems to have every kind of store imaginable on it, and now it has your friendly-neighborhood Graham Crackers as well! What a deal! 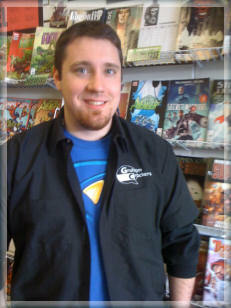 You’ll find Chris Reynolds at the Downers Grove store on the weekends. He teaches computer science during the week. Originally from Michigan he is a Sonic the Hedgehog and DC Comics Green Lantern fan that enjoys the Geoff Johns/ Jim Lee Justice League as well. Try to best him on Sonic trivia. 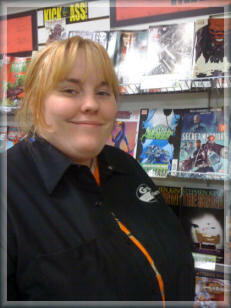 Samantha Zimmerman Samantha’s a graphic design student, a fan of Lego and a fan of a bunch of the new Independent comics. When she’s not at school you can find her here at the Downers store. She’s always reorganizing the store. So if you’re looking for the latest books, she’ll help you locate them. People have confused John for the latest reincarnation of The Doctor. Or is it that John has once again traveled too far back in time. You’ll see him next season on the show when the Doctor is joined by two new companions, Smiley the Giant Cricket and Crunchy the ever smaller Graham Cracker. 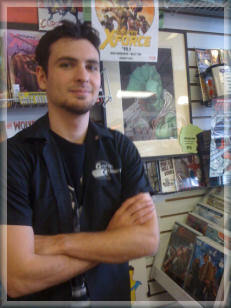 Or you can stop by the store on Tuesday and ask him about the Doctor’s latest adventure. 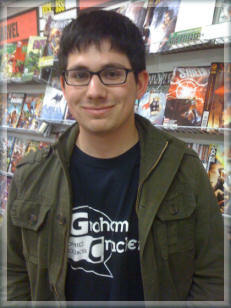 full time student at Chicago’s Roosevelt University, you’ll find Chris here at the Downers Grove store on official school holidays. He’s a big Doctor Who fan and doesn’t believe that John will be the next Doctor. Although he has confirmed through the inter-web that Smiley and Crunchy are the next two new companions for the Doctor. Matt is that rarest of Graham Crackers employees, a full time working artist. Matt was the previous weekend employee, working here on the weekends and a local Pizza-Shop during the week. Matt’s a giant Erik Larsen fan and owns every issue of the Savage Dragon series. We highly recommend that all comic fans follow his lead and pick up the latest issue of Savage Dragon on your next visit to any of the great Graham Crackers Comics locations. about 5 years now. I wanted to take the time to let you know how great of an experience I have had with that store. 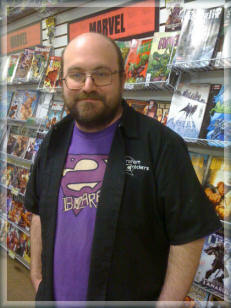 From the first time I went in as a newbie to comics, Jim was always willing to help with any questions I had, show me where to find what I was looking for, and also be willing to have conversations to discuss the books I was looking for or looking to get into. Add to that Matt, Chris, Sam, and Chris, his great support staff, and I never once had a bad experience at the shop. Everyone was always friendly and cordial, and I have never felt rushed to get in or out of the store. 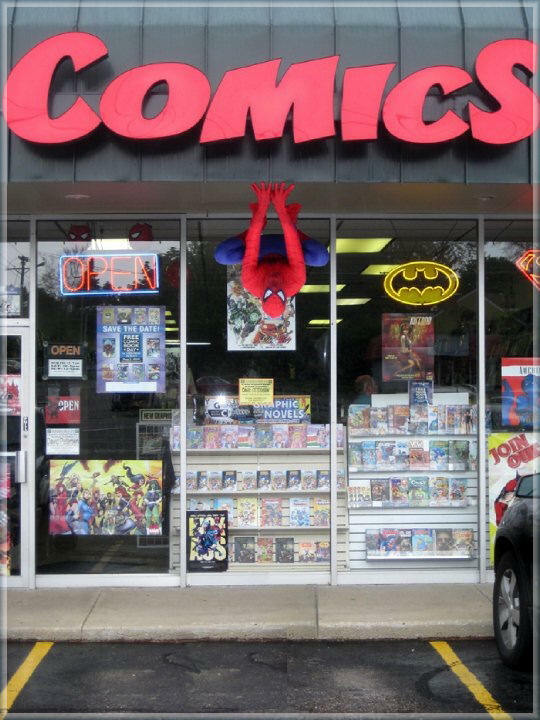 You can tell everyone there is as passionate about comics as you are, and they treat you and the books as a passion, not just a business or a means to make money. I just recently moved downtown to Chicago and will now become a patron of you Loop location. 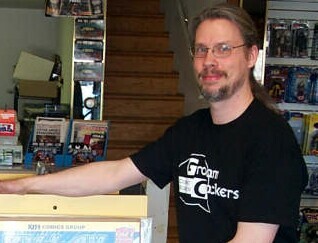 I was sad to leave the store the last time, remembering all the fun conversations I had and great books I bought there. I am looking forward to meeting the staff downtown, but I wanted to let you know what a great job your Downers Grove team does, and what an awesome place they have created there.